Advanced Tools to Manage Your Passwords. 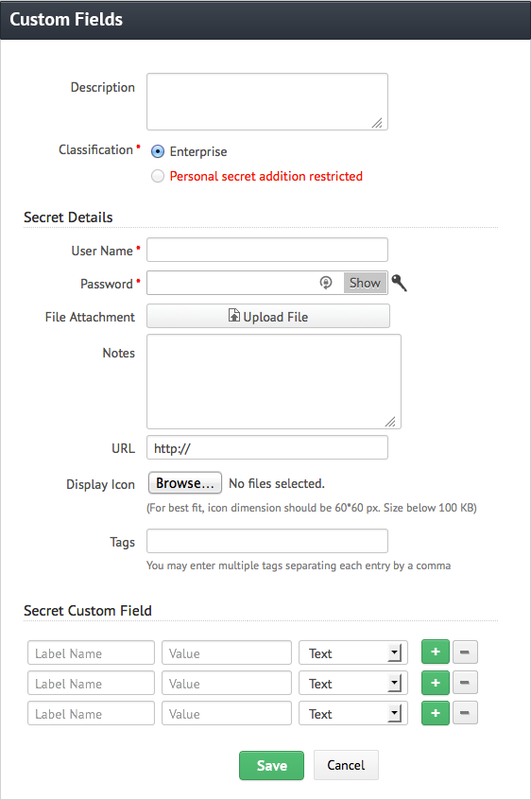 Easily generate strong passwords, add custom fields, import passwords in bulk, export them for secure offline access. Generate passwords for your accounts using Zoho Vault's password generator. 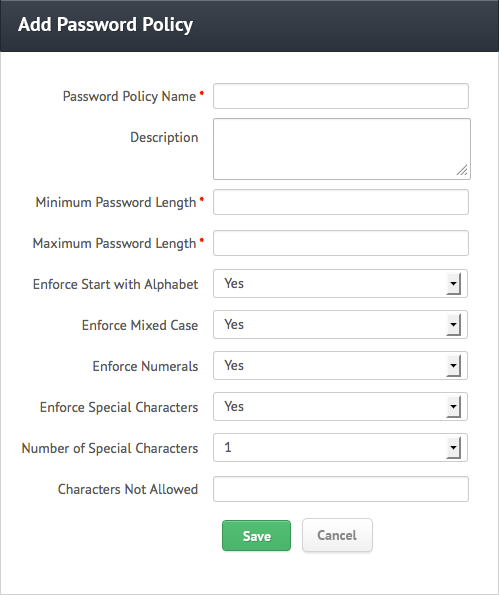 Define a password policy for your organization to ensure every member has a strong password. 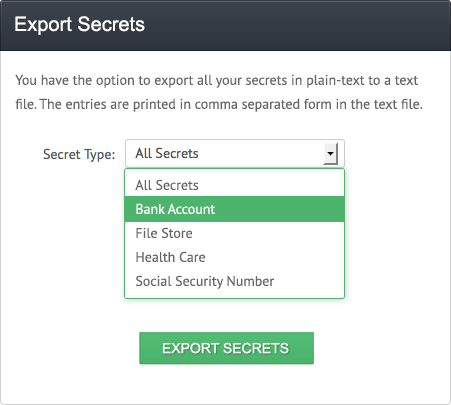 Add custom entry fields to your secrets to save additional information. You can make password-type fields that are hidden to protect users from people surveilling their screens. Locate your passwords with ease. 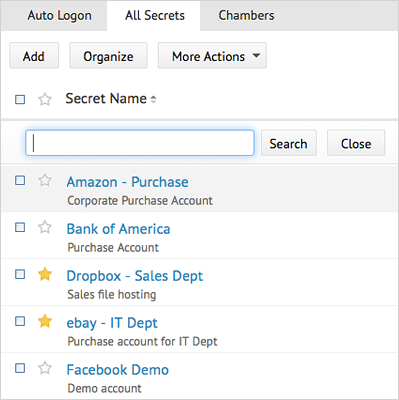 Zoho Vault helps you access your secrets and other records quickly by allowing you to sort and search in all table views. Access passwords even when you are offline. Conveniently access secrets when you're offline by downloading them in encrypted HTML format. Your secrets are just as secure offline as they are online, because they still require a password for access. 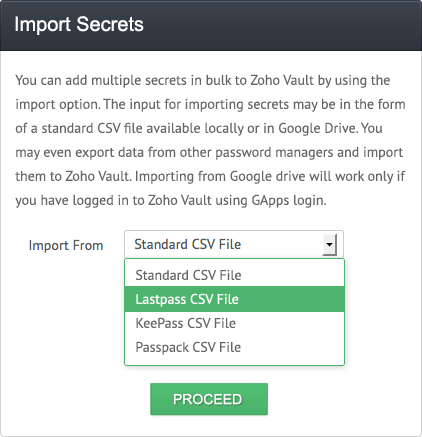 Import your secrets from other password managers to Zoho Vault in bulk using the import option. Get a copy of all your passwords in a text-file using the Export Passwords Tool.